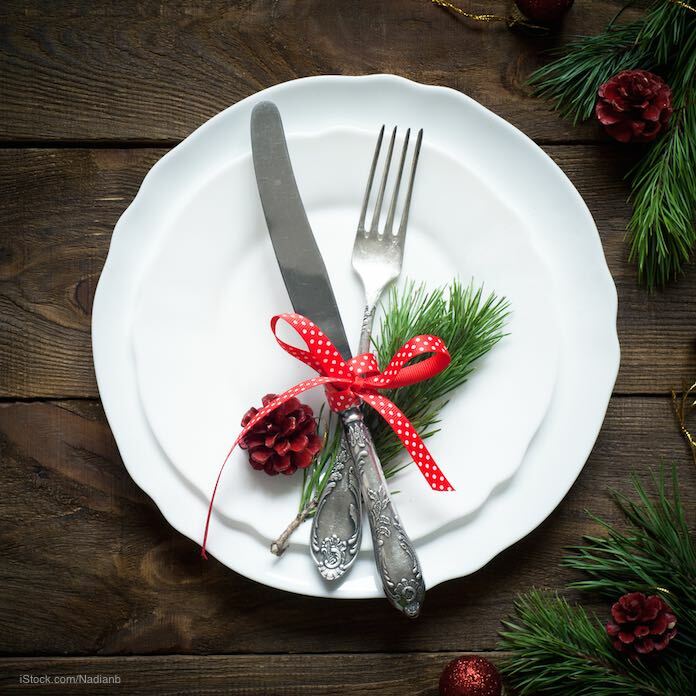 FoodSafety.gov is offering food safety tips for the holidays. Keep everyone safe from foodborne illness during these special times by following these practices. Always wash your hands with soap and water before and after preparing food. And wash them thoroughly after you touch raw meat, raw eggs, or unwashed vegetables, and before eating or drinking. Always cook food thoroughly to a safe internal temperature and test that temperature with a reliable food thermometer. Meat, poultry, seafood, and eggs can carry pathogenic bacteria that can make someone very sick. You can see the minimum safe internal temperatures for these foods at the Foodsafety.gov web site. And remember that meats should rest for three minutes after you remove them from the oven or grill. The temperature continues to rise during this time, and the juices will redistribute so the meat remains juicy and moist. Keep food out of the “danger zone” of 40°F to 140°F. Bacteria grow rapidly in foods at these temperatures. When food is cooked, keep hot food hot and cold food cold. Use ice baths and heating trays, chafing dishes, or crockpots to keep food at safe temperatures. And always refrigerate or freeze perishable food when it has been at room temperature after two hours. The temperature in your fridge should be at 40°F or below and the freezer should be set at 0°F or below. Always use pasteurized eggs when you are making recipes that use uncooked eggs. Salmonella can be inside the egg, so washing the egg shell does not make that product safe. Recipes such as eggnog, tiramisu, hollandaise sauce, and Caesar salad dressing use raw eggs. Do not eat raw dough or batter. A large E. coli outbreak this year was linked to recalled Gold Medal flour. At least 38 people in 20 states were sickened in that outbreak. Many of them ate raw cookie dough before they got sick. Do not taste or eat unpasteurized, or raw, dough or batter of any kind, and don’t let your kids taste raw dough or play with uncooked dough. Keep raw foods separated from cooked foods or food that will be eaten uncooked. Raw meat, poultry, seafood, and eggs should be kept away from prepared foods and foods eaten uncooked in the fridge, in the kitchen, and at the grocery store. Make sure that you stop juices from raw foods dripping or leaking onto other foods. And safely thaw your turkey in the refrigerator, in a sink of cold water that is changed every 30 minutes, or in the microwave oven (and if you choose the last method of thawing, the turkey must be cooked the second it is thawed). Don’t thaw your turkey on the counter. Or cook your turkey from the frozen state.